I was taping Duran Duran photos to my friend’s wall after school when I felt a stream of warm, sticky liquid running down my inner thighs. In the bathroom, angry red blood filled the toilet and, with the menace of a mean girl, had soaked through my days-of-the-week underpants and jeans. My face felt warm as I told my stepmother at home I had gotten my first period — I was only 10 years old. “I wasn’t ready for this,” she said, handing me a cotton rectangle as thick as a diaper. That made two of us. The milestone wasn’t a celebratory moment; instead, it was a scary and shameful one. I feared I’d no longer be my father’s little girl and made my stepmother promise not to tell him. I wasn’t ready to be so unceremoniously ushered into womanhood; I desperately wanted to fit in with the other girls my age. My period became a secret — and felt like a punishment. What my stepmother didn’t know to tell me was that women who start their period early — like I did — are at a higher risk for developing endometriosis. That word wasn’t even in our vocabulary at the time. Now I know that this was just one of the endometriosis symptoms I displayed early on. 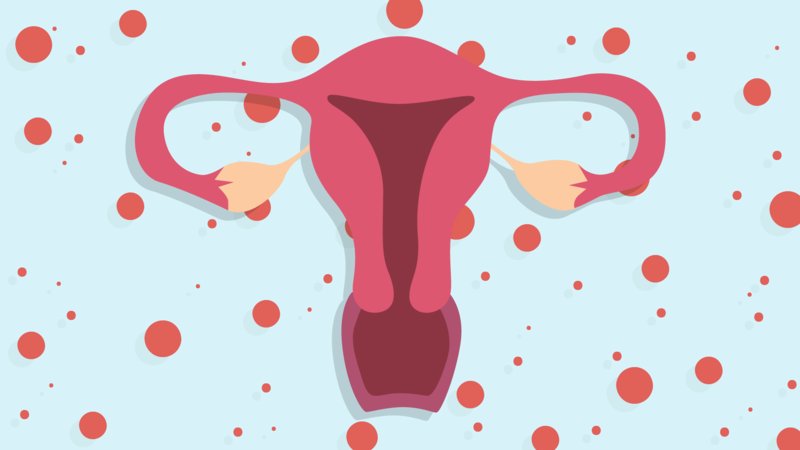 For centuries, heavy bleeding and cramping were considered a normal part of menstruation. We learn that our bodies work in mysterious and agonizing ways. Periods are rarely discussed in school or even among girlfriends. When we would talk about it, conversations revolved around how to fade into the background on the days we bled. I assumed all women felt helpless every month like I did. They were just tougher than me. I discovered my period lasted seven days every month and was responsible for skin breakouts, mood swings, chocolate cravings and stomach cramps. Cursed with a heavy flow, I changed my super maxi pads every few hours and hid them in the bottoms of wastebaskets. I wanted travel back in time when blood stayed inside my body, save for when I scraped my knee playing kickball at recess. Along with my period, I suffered from piercing pain in my pelvic region, lower back and thighs, which affected my ability to concentrate in school and depleted my energy. My parents attributed my chronic fatigue to being a teen. I claimed to be a 2 or 3 on the pain scale even though I was doubled over in tears behind my bedroom door. My measuring stick was limited to my own experience; 10 was the worst I’d ever felt, when my pelvic pain was so bad I had trouble walking from my bedroom to the bathroom. A typical cycle for me carried a threshold of pain I’d now rate a 8 or 9. But at the time, I believed that the pain was normal — so I’d say it was minor — and even believed it myself. Minimizing my menstrual pain made me internalize other suffering I’d experience later in life. I never wanted to be seen as a frail or weak girl, so I quietly treated my symptoms with Advil and a heating pad. That’s all the relief I thought I was entitled to. Not once did I think there was something wrong with me. Mild discomfort during menstruation is normal, but persistent and debilitating cramps that compromise your daily life are not. The Endometriosis Association’s research registry revealed that 61 percent of endometriosis patients were not believed by their health care providers. Dismissed by those we trust to help us understand and heal our bodies, many of us suffer in silence and are less inclined to seek a second opinion. According to The Endometriosis Foundation of America, it takes almost a decade for many of the estimated 200 million endo sufferers worldwide to receive a diagnosis. If this is true for adults, how do teenagers advocate for their health? I didn’t visit an OB-GYN until I was in college, and by then, I had normalized eight years of excruciating monthly pain. I wasn’t diagnosed with endometriosis until age 27 after my first surgery, when I was no longer able to get out of bed. Periods are a normal, healthy part of a woman’s life. Destigmatizing the natural process our bodies go through will help break the cycle of shame passed from generation to generation and encourage teens to seek help when things don’t feel quite right. Had I known my pain was atypical and I was at risk for developing endometriosis, I would have asked to see a gynecologist. Knowing I wasn’t alone would have empowered me to ask, “Does everyone feel this way?” I would have learned that no, not everyone does.